In June of 2018, the United States Supreme Court decided a case involving a credit card association’s merchant rules that prohibit merchants from steering customers to competing credit card types. The Supreme Court held in favor of the credit card association, leaving the association’s higher merchant fees and anti-steering rules in place. As a result of this recent Supreme Court decision and the current composition of the Supreme Court, anti-steering restrictions for merchants remain in place and are likely to stay in place for the foreseeable future. Additionally, the constitutionality of certain state “no surcharge” laws has been litigated in various courts to determine whether the laws infringe upon First Amendment rights, as the laws address how merchants communicate with consumers. 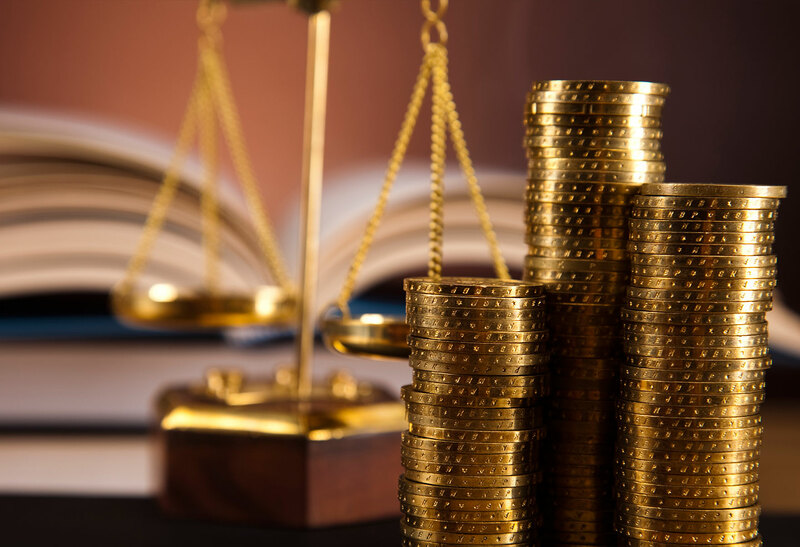 See here for a discussion of the case and related state “no surcharge” provisions, and contact Christopher Rahl for further discussion of this topic. On January 23, 2019, the United States District Court for the District of Maryland, following trial, entered judgment in favor of a lender for over $1.3 million against two individuals who had signed “bad boy” guaranties in connection with a loan to a group of nursing home entities. Notably, the court also awarded $200,000 in punitive damages against one of the guarantor defendants for having signed and submitted false borrowing certificates on behalf of the borrowers to the lender. This case addressed the technical use of the word “and” in agreements and whether the situation calls for “and” to be interpreted as “or” in order to trigger liability. Additionally, the court’s award of punitive damages should send a strong message to those who are responsible for submitting borrowing certificates to a lender that their liability for nonpayment of a loan can be much greater than the amount due if the certificates contain false representations. See here for detail about the case, and contact Lawrence Coppel for further discussion. A trial court in the United States District Court for the Northern District of Illinois recently issued an opinion dismissing with prejudice a complaint alleging violation of the Fair Debt Collection Practices Act (“FDCPA”), 15 U.S.C. §1692 et seq., even though the collection letter upon which it was based did not include “safe harbor” language that was previously identified by the Seventh Circuit as adequately disclosing whether debts were accruing interest or fees after the date of the letter. In the letter, the debt collector stated the total balance, but then stated that the account balance would be “periodically increased due to the addition of accrued interest, as permitted by applicable law.” The trial court determined that this letter met the requirements of § 1692g(a)(1) because it stated “the balance due and illustrate[d] the breakdown of principal, interest, and collection fees for each loan.” Applying an “unsophisticated consumer” standard, the court noted that this letter showed that the balance owed actually encompassed all charges as of the date of the letter. Thus, “[t]he unsophisticated consumer would not be left wondering if the list of charges was incomplete.” Please contact Robert Gaumont for more information related to this topic. The Consumer Financial Protection Bureau (“CFPB”) recently released a snapshot of mortgage complaints summarizing what consumers reported as challenges in the mortgage marketplace over the last two years. The purpose of the snapshot is to allow consumers to directly engage with the CFPB, give guidance in response to consumer inquiries, and assist consumers in obtaining resolution from mortgage providers. Payment process difficulties made up 42% of the complaints. More specifically, consumers noted concerns with application of extra payments, unaccounted for increased costs in escrow accounts, timeliness of periodic statements and fees, and payoff requests. The snapshot also compares mortgage complaint fluctuations with other financial products and services like student loans, debt collection, and credit cards. Mortgage complaints made up about 11% of the consumer responses. Maryland had one of the largest volumes of complaints. The CFPB collects “unstructured data” with the complaints to assess how providers dealt with the consumers' concerns. The unstructured data includes documents from the consumer and the provider, the consumers' perspectives of the situation, and the providers' responses. Although the CFPB’s mortgage snapshot focuses on the consumer’s perspective, it is important for mortgage providers to review the report in order to proactively address future complaints. The CFPB often uses the report to help consumers resolve issues, which can ultimately bring a spotlight on specific providers and detect trends in their practices. Therefore, providers can use the reports to identify areas of opportunity for improvement and enhance how they document consumer interactions in the event the provider is subject to a regulatory action. Please contact Chastity Threadcraft to discuss this topic further.